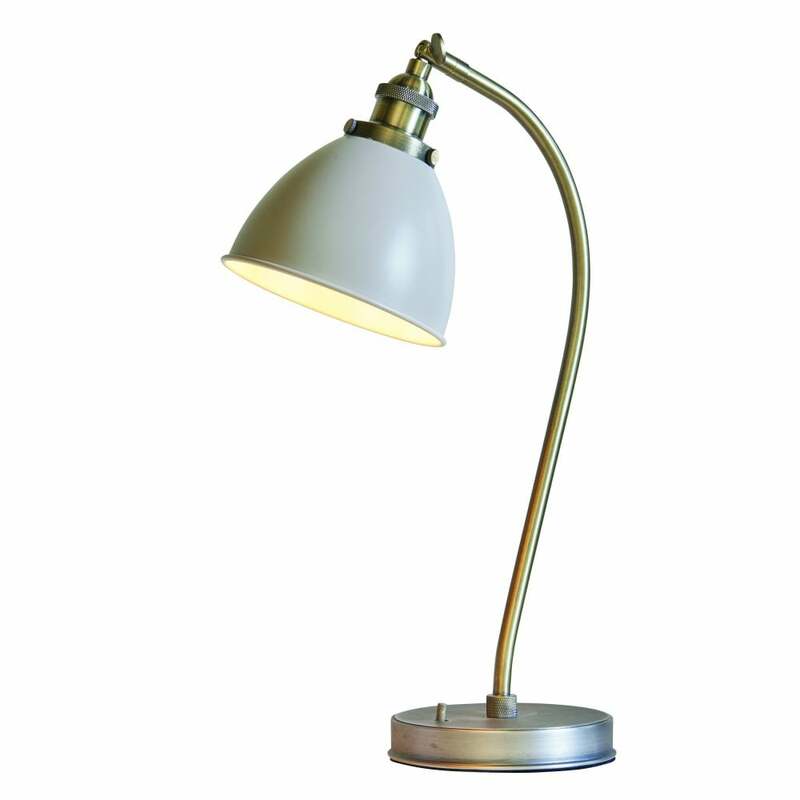 Endon Lighting Franklin single light desk lamp in antique brass finish with satin taupe shade. The product code for this item is 76331. This authentic industrial style desk lamp is guaranteed to compliment any suitable room in your home. The antique brass base creates a bold image which makes it the perfect addition for today's stylish homes. Featuring an adjustable knuckle and accessible on/off switch. Also available to purchase via our website in the Franklin collection is the wall light (76330), small ceiling pendant (76328) and large ceiling pendant (76327).